If you’re planning to take the plunge and do business in Brazil, Latin America’s biggest economy and the world’s seventh largest, just remember it’s going to get personal. When you step off that plane, be prepared to have lunch, dinner and drinks, joking and pleasant conversations about the family, hobbies and football (of course) before anything resembling a business discussion. And this may have to be repeated on several occasions over a period of time before you secure that deal. So sit back, relax and enjoy the hospitality because a more transactional approach where you get to the point of business after just a few niceties is just not going to work. Brazilians negotiate with people not companies, people they can relate to, people they can like and trust, so it’s essential to get to know you first and establish a personal relationship. And once they know your company’s negotiating team, don’t go changing it or you may have to start all over again. Using first names in business is common, but titles are important and can be used as a form of respect. When meeting and greeting expect long firm handshakes, strong eye contact and even kissing on the cheek, and don’t go rushing your hellos and goodbyes. Punctuality can sometimes be an issue in Brazil, but don’t interpret it as rudeness or laziness. It might be down to traffic, which can be horrendous in big cities like São Paulo and Rio de Janeiro. Approach business in Brazil with a longer term view as the economy tends to go up and down quite sharply. Your Brazilian business partners will take note and remember whether you stuck around during the bad times or bailed out at the first sign of trouble. Because things often change quite rapidly and unexpectedly in Brazil, improvisation, flexibility and finding a way around problems (also known as jeitinho in Brazil) have become second nature to Brazilians. Of course, business culture is not the only thing worth considering when entering the Brazilian market. There are other challenges to doing business in Brazil, often summarized under the Portuguese term custo Brasil (the cost of doing business in Brazil). First and foremost, the tax system comes to mind. It is very complex and taxes are high. There are federal taxes and state taxes, import taxes to protect domestic industries and taxes on transactions, “so don’t even try to find your way through the tax labyrinth alone,” the UKTI’s Adriana Lyon-Shaw said at the City Business Library event. If you want to export goods to Brazil do your research beforehand to see whether your exports will be affected by Brazilian tax barriers to protect local industries. Then get yourself a customs broker in Brazil to clear your goods through customs and help you navigate the import taxes that can add up to 80% to the price of your goods. Imports are likely to be uncompetitive in terms of price compared with local goods, but fortunately imports enjoy a certain prestige in the minds of Brazilians, according to Ms. Lyon-Shaw, which makes them more desirable. It makes sense, therefore, to market imported goods emphasizing the benefits they have to offer that go beyond price. And be patient. Bureaucracy and red tape can be a headache. Brazil has a high level of bureaucracy and a very intricate legal system. This means some things may take longer to set up than you might expect and local expertise can be invaluable in moving things along. In the World Bank’s 2015 Ease of Doing Business index of 189 countries, Brazil is ranked at 120. And it currently takes about three months to open a company. Keep in mind this country of roughly 200 million people is huge, which means journeys between cities and states can be extremely long. All of Western Europe would comfortably fit into Brazil with room to spare. 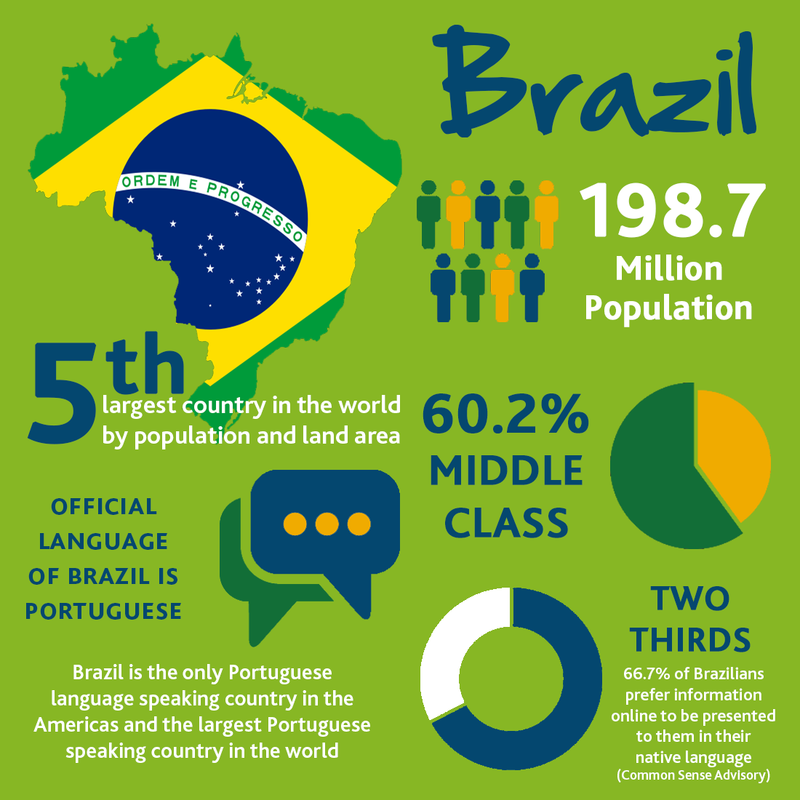 The size of the country also means there are significant regional differences in terms of culture, economics, population, geography and climate; what works in São Paulo may not work in the Northeast. Finally, corruption is an issue in Brazil, as the current high-profile scandal involving oil company Petrobras demonstrates, and high levels of violence and crime are a major problem in some parts of the country, especially the big cities. Brazil ranks at 69 out of 175 countries in Transparency International’s 2014 Corruption Perceptions Index, with one being the least corrupt and 175 the most corrupt. This is just a brief snapshot of some of the issues, cultural and otherwise, that will come up if you want to do business in Brazil. For any company big or small with global aspirations Brazil is too big a market to ignore. It has one of the most rapidly developing economies with a gross domestic product per head that is greater than either China or India. It is rich in natural resources, has a developed industrial base, high standards in scientific research and a strong business and consumer base. Four hundred of the world’s 500 largest companies are already operating in Brazil. If you want to join them, the UK Trade & Investment (UKTI) government department is there to help British companies with their exporting ambitions, while in Brazil the privately run organization Sebrae (Serviço Brasileiro de Apoio às Micro e Pequenas Empresas) is there to provide assistance to small and medium-sized companies, but its services will be in Portuguese. 2 Replies to "Doing Business in Brazil – It’s Going to Get Personal"
Good article, love the picture, where did you get it? Just touching base, our businesses seem to have something in common without overlapping. Would you like to have a chat, maybe do a link exchange between our sites? Thank you for the positive feedback! That sounds like a good idea doing a link exchange. Where are you based in the UK?